Belarusian analysts remain sceptical about integration within the post-Soviet space. BISS invites discussion on its new social contracts research results. The Centre for European Transformation presents the results of the "EU-Neighbourhood Barometer" on the attitudes of Belarusians towards their own country and the European Union. The Eastern European Studies Centre examines the third sector in Belarus. The World Bank approved a new programme for Belarus for the coming years. What does the Partnership Strategy mean for Belarusians? 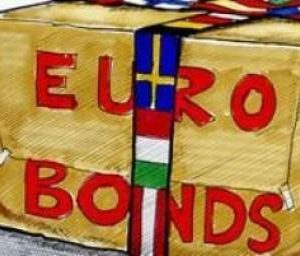 Lyabedzka: My Party does not Receive a Penny from the West – one of the most discussed issues of the week was articulated by Anatol Lyabedzka, UCP leader, at the recent EuroNest meeting in Brussels. In particular, Lyabedzka suggested checking the assistance that democratic countries provide for civil society in Belarus. The politician explained his sudden suggestion that there are in existence some pseudo-democratic organisations which are supported alongside together with truly independent media, human rights activists and political structures. Euroradio spoke to the politician about his statement, which risks causing a new round of arguments in the democratic community. EU Neighbourhood Barometer: What Belarusians think about Belarus and the EU? – Alyona Zuikova, from the Centre for European Transformation, prepared a paper analysing the results of the research component of the Regional Programme for EU communication. EU Neighbourhood Barometer gives a snapshot of the whole region, making it possible to compare the Belarusians public opinion on issues related to democracy, democratisation and Europeanization, with the opinion of the residents of other EaP countries. In particular, Belarusians have expressed a moderate position on most issues, while avoiding radical ones. Eurasian Economic Union: A new Toy for the Three – The future of the Eurasian Economic Union, which Belarus, Russia and Kazakhstan are to create by 2015, analysts say, is rather lacklustre. They believe that by 2015, all the integration documents will be signed and ratified by the three countries, but the real integration will be visible later. This was discussed in a regular issue of the Amplituda TV TUT.by program, attended by experts Alexei Pikulik, BISS Academic Director, and Yuri Shevtsov, director of the Centre for European Integration. BISS-Timeline #5 (May 2013) – The Belarusian Institute for Strategic Studies (BISS) issued its regular monthly review of the major social, economical, political and cultural events in Belarus. The May issue covers US and EU sanctions' being lifted against Belarusian companies, a meeting of the Supreme Eurasian Economic Council, the opposition’s initiative to hold a ‘popular referendum’, some signs of liberalisation in the cultural landscape, etc. The Bell, No.4 (34) – The Eastern Europe Studies Centre (EESC) presents an issue of the electronic newsletter The Bell is devoted to the analysis of the NGO sector in Belarus. In particular, Tatsiana Chulitskaya examines the current situation of the NGO sector in Belarus and stresses upon the main strengths and weaknesses of it; Yury Chavusau gives a brief review of Belarusian NGOs registered abroad and categorises them into four different types. Presidential Election 2015: Opposition is Still Off – Belaruskaya Delovaya Gazeta noted that in 2015 the 5th presidential election will take place in Belarus, and respectively asks a number of experts whether the opponents of Lukashenka have a chance to update the Belarusian political Olympus. The experts – Andrei Egorov, Alexander Shpakovski, Valery Karablevich – were all practically on the same page and do not see strong candidates in the Belarusian opposition. "A crisis of age and cadres affects the fact that elections can go almost unopposed," stated Shpakovski. The European Endowment for Democracy HQ opened. On 27 May the headquarters of the European Endowment for Democracy (EED) were opened in Brussels. The Endowment is expected to provide assistance to civil society organisations, young pro-democracy leaders, and independent media outlets. The Endowment will be financed by the European Commission funds and EU member states. Over the first three years, the EED budget will reportedly exceed €25 million. The organisers of cultural events will have to get concert licences. The presidential decree of 5 June provides for compulsory obtaining of a certificate for an organisation to conduct cultural and entertainment events in Belarus (concert licence) at the Department of ideological work. Independent artists believed that such a decision could be caused by the desire of the authorities to have additional control over this realm. World Bank approves new Partnership Strategy for Belarus. Accepted on 6 June, the new Country Partnership Strategy for Belarus for 2014-2017 is based on consultations at all levels of society, and with development partners. It commits to help reforms in key areas needed for the country to regain competitiveness, but also to maintain macroeconomic stability and sustainable growth. The State of the World's Children 2013. On 30 May UNICEF issued its annual report on the issues of children with disabilities. The report urges the governments of all countries to sign, ratify and implement the Convention on the Rights of Persons with Disabilities. To the moment, 128 countries, including the EU, have signed the Convention; Belarus is not in the list. Poland invites Belarusians to a new scholarship program. Polish MFA in cooperation with the Ministry of Science and Higher Education launched the Stefan Banach scholarship program designed for students studying economics, engineering, natural and agricultural sciences, or European studies and living in the EaP countries. Any Belrusian can participate at the new Program, regardless of his/her political views. Belarusians earned abroad nearly a billion dollars. In 2012, Belarusian citizens received from abroad 913.1 million dollars of personal transfers, states the Belarus National Bank. Thus, the official earnings of Belarusians abroad have increased by 15.2% in comparison with 2011. Belarus becomes world's top country for SPAM. Belarus has eclipsed the US to become the biggest single source of global spam, according to cloud-based email and web security firm AppRiver. After the spike happened on 13 April, AppRiver said it began recording an average of 12.3 million spam messages per day from Belarus – which is now climbing. On 4 June the Belarusian city of Brest hosted an exhibition of famous Russian painter Nikas Safronov. The exhibition included a portrait of Alexander Lukashenka in the costume of Francysk Skaryna, Belarus printing pioneer of the 16th century. Safronov announced that he would present this portrait to Lukashenka. Brest regional governor Kanstancin Sumar immediately decided to deliver the portrait personally and thus to prove his devotion to the president. In the USSR, Brest had a particular status thanks to its border location. It was on the edge of the Union, and perhaps ironically, it was here that the leaders of the Soviet republics acknowledged the dissolution of the USSR. Although Brest is situated just to the south of the Hrodna region and has a common border with Poland, it has no significant Polish minority. Instead, it contains the largest Ukrainian minority and the smallest number of Russians in Belarus. The region appears less nationalist than the Hrodna region, because Belarusian identity competed here with Ukrainian and often even with its own local identity. However, the population of Brest region, along with Hrodna, has shown stronger support for the democratic opposition in elections throughout Belarus' 20 plus years of independence. Although Belarus has no access to the sea, Brest is famous for its huge seafood company. Border smuggling also flourishes in the Brest region — not only with the EU, but Ukraine as well. The regional centre, Brest city, lies on the very border with Poland and is the westernmost city of Belarus. It is here that the trains going to and from the EU change their wheels to adjust to the Soviet, slightly wider rails. Ethnically, the Brest region differs considerably from its northern neighbour, the Hrodna region. It has neither a substantial Polish minority nor major Roman Catholic areas (although there are pockets of active Protestant communities). Instead, the largest number of Ukrainians in Belarus are concentrated here (2.9 per cent). 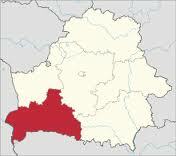 The region also has the smallest number of ethnic Russians of all of Belarus' regions (6.4 per cent). Southwest of Brest region (also called West Paliessie) presents a unique ethnic and cultural area. In the 19th and 20th centuries, scholars considered it ethnically Ukrainian. The local dialect is characterized by more features common to Ukrainian, although it has elements of Belarusian as well. However, after Nazi Germany and the USSR divided the territory of Poland in 1939, the Soviet government annexed the region to the Belarusian Soviet Socialist Republic. The Brest region has a few attractions which have become, in a sense, their own brands. Bielavieža forest is one of them. It is Europe's largest relic of primaeval forest and stretches across the Belarusian-Polish border. Bielavieža national reserve is included in the UNESCO list of world heritage sites. The forest has the richest flora and fauna in Europe and contains the largest population of wisents (European bison) in the world. Foreigners, however, might know Bielavieža for other reasons: here, in Viskuli, the leaders of Belarus, Russia and Ukraine signed the Bielavieža agreement on the dissolution of USSR. Another famous attraction of the Brest region is the Brest fortress, which the Soviet authorities popularised as a symbol of resistance of the Soviet people against the Nazis. It was built in the Russian empire in the 19th century, but became famous when Nazi Germany attacked the USSR on 22 June 1941. As a border fortress, it was the first to meet the attack. Germans took it unawares, but the battalions located there did not surrender and fought for another week under heavy attack. Only two years before, in 1939, Brest hosted a joint military parade of German and Soviet troops, who celebrated the partition of Poland. This friendship turned out to be short-lived. Although Brest region is a part of West Belarus, electoral behaviour here slightly differs from that in Hrodna region. In the first (and the only relatively free) presidential elections of 1994, Brest showed less support for nationalist candidate Zianon Pazniak. Belarusian nationalism has not properly developed here because of the mixed and often weak identity of the local population. But along with Hrodna region, in subsequent elections Brest supported the democratic opposition more than the east of Belarus. Perhaps the only attempt at separatism in Belarusian recent history is connected with Brest region, or West Paliessie to be more precise. In the late 1980s/early 1990s, a group of intellectuals tried to create the West Paliessie language and demanded the autonomy of the region. Subsequently, the movement has decayed, as the population failed to support it. Brest's governor Kanstancin Sumar has a reputation as the president’s bootlicker and was involved in a number of funny and not-so-funny stories. Sumar presents a typical Belarusian nomenklatura figure with an agricultural background. He strictly follows the “party line”, which means having no personal viewpoint and initiative and implementing everything ordered from above. Sumar became famous for his ridiculous phrases and initiatives. In 2004, at a high-level conference of officials, speaking about weather and harvesting, Alexander Lukashenka said, “Well, I am not God”, to which Sumar replied “You are a little higher than God”. In 2011, during a press-conference, Sumar told journalists that he would like to erect a monument of Lukashenka for the successful implementation of the national program of village revival. In the middle of the financial crisis of 2011, Sumar shocked the public by acquiring a new car, an Audi A8 L, which cost 100,000 euros. Interestingly, the same year Sumar recorded a CD of songs. However, it is not publicly accessible. As a region of western Belarus that experienced less Soviet industrialisation, Brest lacks a developed industrial sector. However, it hosts the most successful private companies in the food industry – Santa Bremar and Savuškin Pradukt. Their owner, Aliaksandr Mašenski, was ranked No 3 in a list of the top 200 Belarusian businessmen published by Ježednevnik newspaper. The companies deal with seafood and milk production and have a considerable share in the markets of the former USSR. The success of the food industry in the region happened very much due to its well developed agricultural sector. Of course, businesses of such scale cannot exist without the protection of the head of the Belarusian state. To develop, Belarusian big businesses need to show their loyalty to the regime. Mašenski took up the position of authorised representative of Alexander Lukashenka during the 2010 presidential elections. The border location of Brest region makes it the second after Hrodna in terms of its fame for border smuggling. Brest city itself lies right on the Polish border, which leaves its dwellers no choice but to engage in border business. At the other end of the region, a vast border with Ukraine also creates an environment of opportunity for smugglers. The Belarus-Ukraine border is extremely hard to control because of the huge marshes and forests that run through it. It also makes it a convenient place for people to simply cross the border, while avoiding any checkpoints. Very much like Hrodna region, the economy of Brest relies on neighbours, which makes it another important stakeholder in the improvement of Belarus-EU relations. Local people use their location on the border to their advantage, but cooperation with neighbours could be much more productive and efficient were politicians to show their good will.